Get Pearl shine definition on your eyes by intense liquid eyeliner which delivers perfection all day long. Explore the entire range of Eyeliner available on Nykaa. 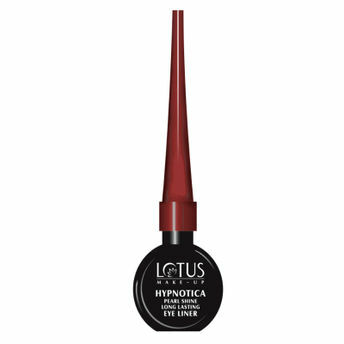 Shop more Lotus Herbals products here.You can browse through the complete world of Lotus Herbals Eyeliner .Alternatively, you can also find many more products from the Lotus Make-Up Hypnotica Pearl Shine Long Lasting Eye Liner range.